Are you looking for a holiday in a sunny paradise, bathed in turquoise waters and offering delicious food? Welcome to Bali! Whether by the sea or amidst Bali's rice paddies, the flavours of coconut and fresh fish make a perfect marriage at the Indonesian island's food stalls and restaurants. Are you ready for a sensory journey? If you're planning to visit Bali, why not go this Easter? Check out our best Easter travel deals. Photo by Bart Speelman under CC BY 2.0 licence. The people of Bali lead a simple life, which is reflected in their everyday culinary habits. Rice, the main ingredient of any meal, is considered a gift from the goddess Dewi Sri. 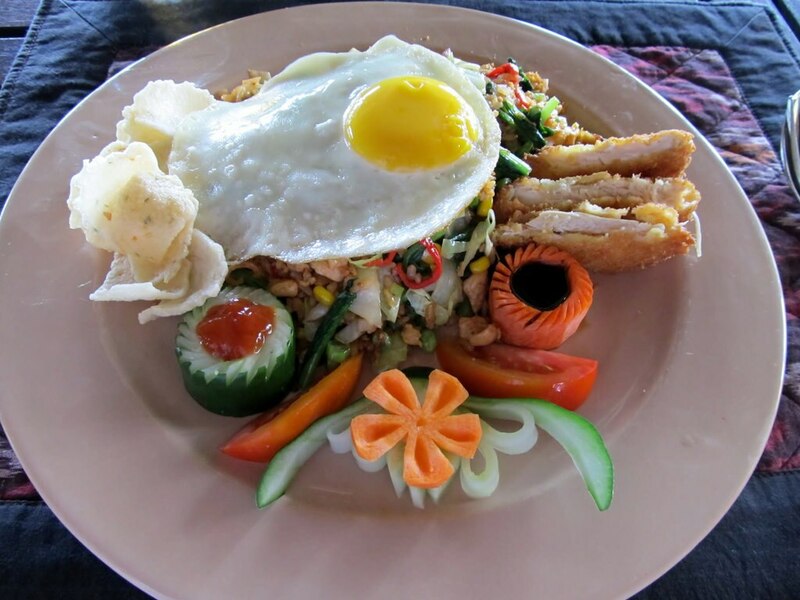 It is eaten with many different sauces, especially nasi goreng, the quintessential Balinese dish of fried rice with pork or chicken, eggs and vegetables. You'll have a thousand and one opportunities to taste it as it's served all over the island! You'll soon notice that Balinese people traditionally eat with their fingers and rarely eat lunch at home. This is reflected in the profusion of small restaurants called warung. Here you can eat a full meal for just a few pounds. One of the best known is Made's Warung in Kuta, southern Bali. The restaurant has become an institution, and has been serving up the most traditional dishes of Balinese cuisine since 1969. Photo by Tracey Hunter under CC BY 2.0 licence. Don't be surprised if you come across a range of hawkers (kaki lima), who set up their kitchens by the roadside, often selling just one dish. These places are the perfect stop for a Balinese snack of satay (skewers of grilled meat), bakso (meat soup) or martabak (stuffed pancakes). Fancy going back to the roots of Bali's gastronomy? Head for the paddy fields in the centre of the island. You'll be spellbound at the different shades of green that grace the landscape. The rice fields surrounding the Batukaru temple near Denpasar are particularly beautiful... and photogenic! In any Balinese city, you should take the time for a stroll through the market stalls. This the best place to appreciate the diversity of Balinese produce, and you'll find numerous types of fruit that only grow in this region of Asia. So immerse yourself fully in the local atmosphere and take the opportunity to buy some of the wonderful goods on offer, such as the island's characteristic spices or bamboo utensils. The city of Denpasar is the market destination in Bali. 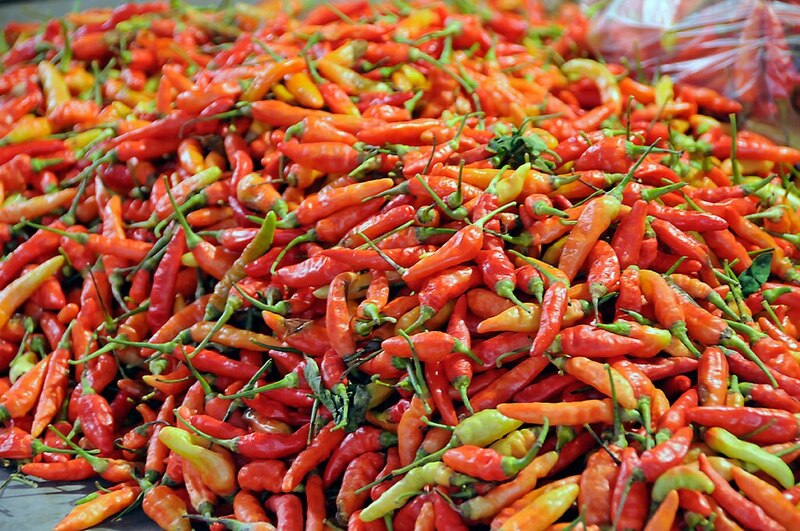 Start your day at Pasar Badung, the largest and oldest market on the island. Located on the banks of the Sungai Badung river, the market is open day and night and offers the best of the region's fruit and vegetables. For a market with more of an emphasis on traditional cookware, head to Pasar Kumbasari, or to discover Balinese craftsmanship and bring home some souvenirs of Bali, make a beeline for Ubud, the cultural capital north of Denpasar. Photo by D Mahendra under CC BY 2.0 licence. Are you a fish lover? Then you will be in your element in Jimbaran, to the south of Kuta. 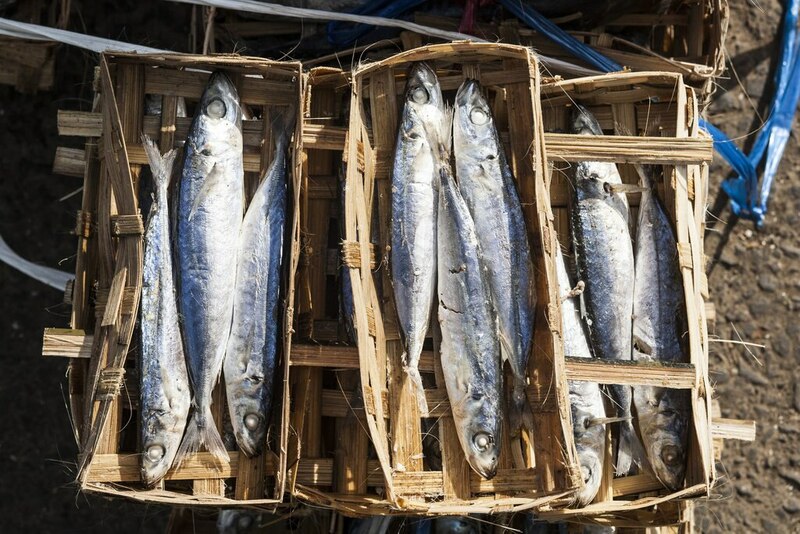 Its Pasar Ikan fish market is a delight for all the senses. Feast your eyes on the sparkling tuna scales and the colours of the squid and crayfish... Then to give your taste buds a treat, head for the beach to enjoy grilled fish whilst burying your feet in the sand! For several years now, Bali has seen the development of a more sophisticated cuisine, offering dishes from elsewhere in the world or playing on a fusion approach. As a result, Seminyak has become one of the island's main gastronomic centres. In premium Indonesian restaurants you can enjoy new twists on the great regional classics. Discover babi guling (roast suckling pig), bebek betutu (stuffed duck steamed in a banana leaf) or ayam betutu (grilled chicken with vegetables, tapioca and coconut). Fancy some Western food? Many restaurants, some of them award-winning, offer French, Mediterranean or international cuisine to satisfy all palates! Salak, an oval-shaped fruit that grows on a thorny palm tree, is nicknamed the 'snake fruit'. And for good reason! Its shell has brown scales reminiscent of snake skin. Like the lychee, this fruit has white flesh, a large stone and a distinct flavour! You'll find it in Thailand, Malaysia and Indonesia. Bali is hot and sunny all year round. For a less humid holiday, visit from June to September. Take advantage of our flight deals by visiting our Bali flights page. By motorbike: ride from town to town, and along the coast in search of the tastiest gourmet dishes. Bali has something for everyone: luxury hotels by the sea, more traditional hotels amidst the rice fields, or even accommodation on the beach! During your stay we advise you to request bottled or boiled water. Twice a year (according to the 210-day Pawukon calendar): Odalan, a traditional festival celebrating the birthday of a temple with the distribution of blessed rice. Once a year: Galungan, an important Balinese festival celebrating the gods' return to Earth over a two-week period. March and October: Tumpek Kandang, the day the Balinese make offerings to protect animals, particularly livestock. June: Tumpek Uduh, a traditional festival held to bless the year's harvests.